The book should be supplied with an instruction leaflet for the faint hearted. Cannibalism is a taboo, and the open display of violence is no less problematic. 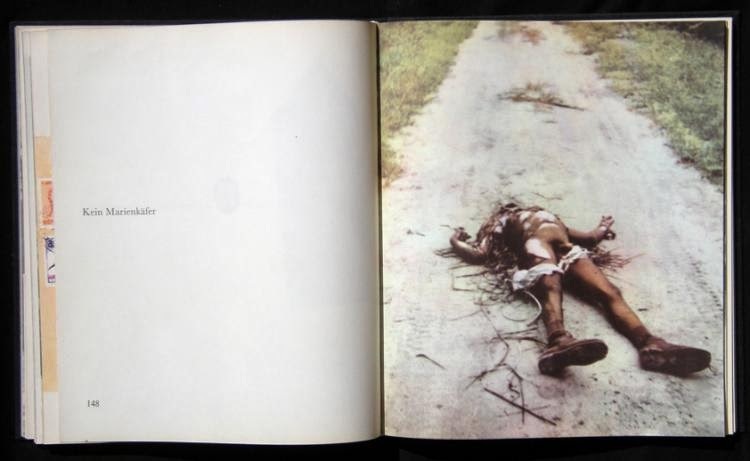 Photos of violent crimes and their victims are known from war and civil war or the Holocaust. The Scho-ckierende thing is that you first of all, it automatically goes off, that these images contain a kernel of truth. "The photographic image is by its very nature always concrete; moreover, it is always fraught emotional experience so promising as the abstract thought" (H & S 1966 zit.n. 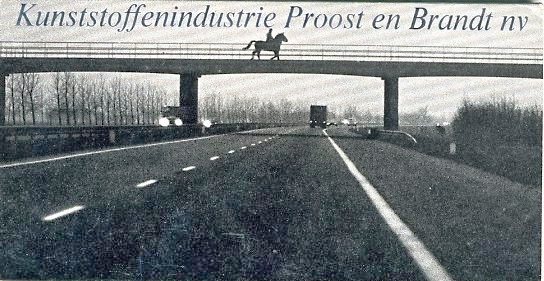 retrospective H & S 1976, p.49). 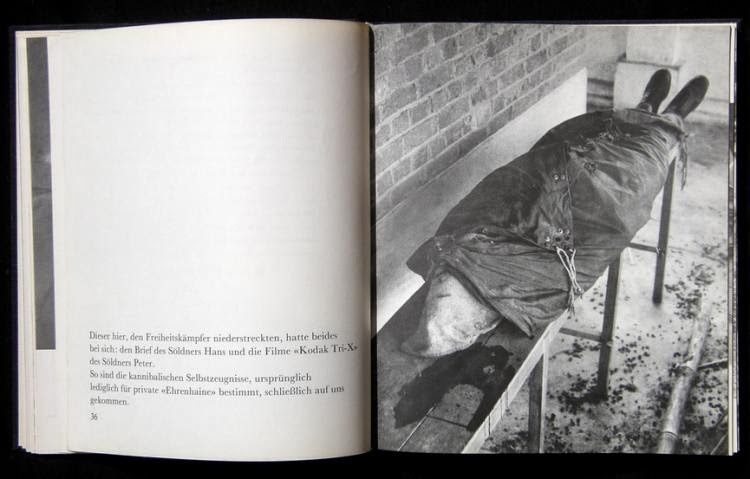 The trium-phierende photographs of victims is a traditional action-wise, similar to the production of shrunken heads of slain enemies or of lampshades made of human skin.But the authors of the book did more to celebrate than a moral victory. 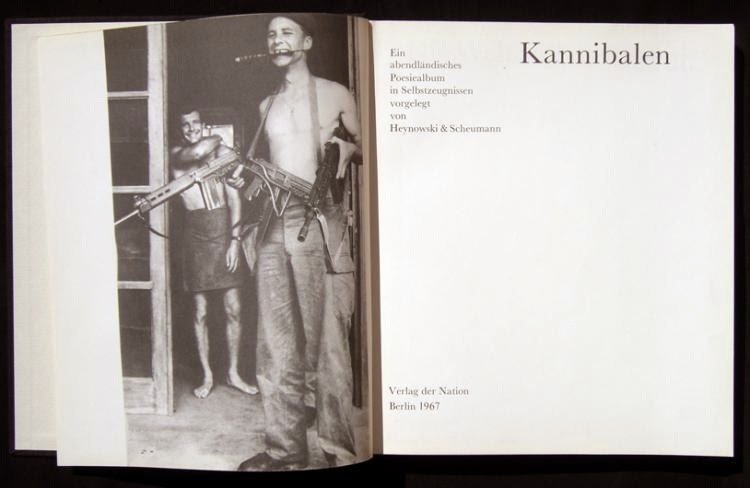 The book "cannibals" in 1967 received an award as one of the "most beautiful" books of the GDR. It is not really nice, rather scary. 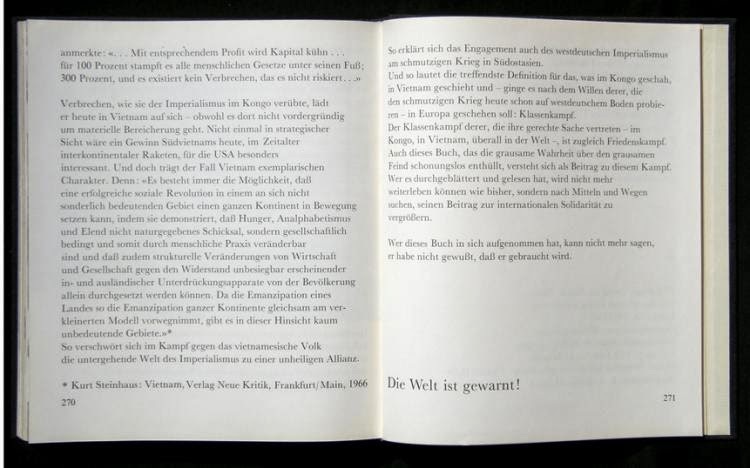 The reading promises to be a very special experience, even if the ironically downplaying subtitle reads: "A night-ländisches poetry album in autobiographies". 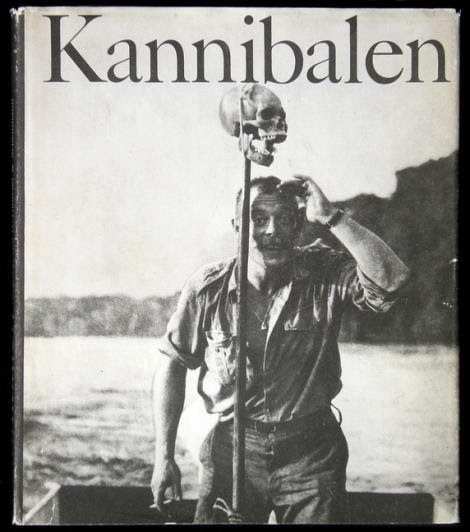 It is directed it against the (of course) Western imperialism on the example of confusion surrounding the independence (1960) by the former Belgian Congo. 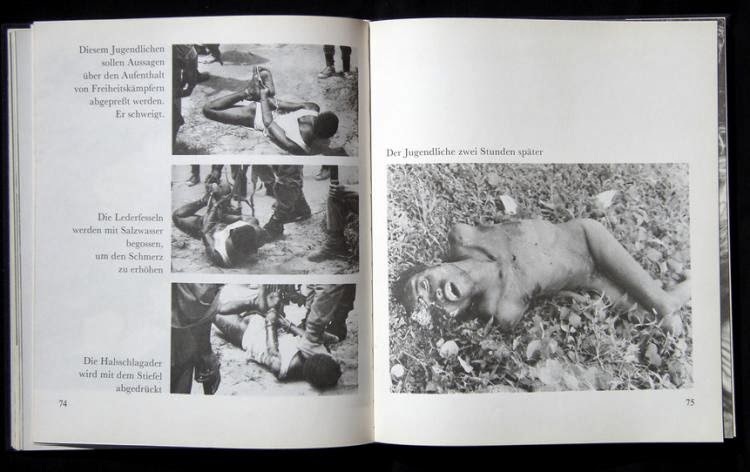 In this civil war-like clashes, including West German mercenaries were in use, what 1964, the star and other West German newspapers had reported (Steinmetz / Prase 2002, p.72). 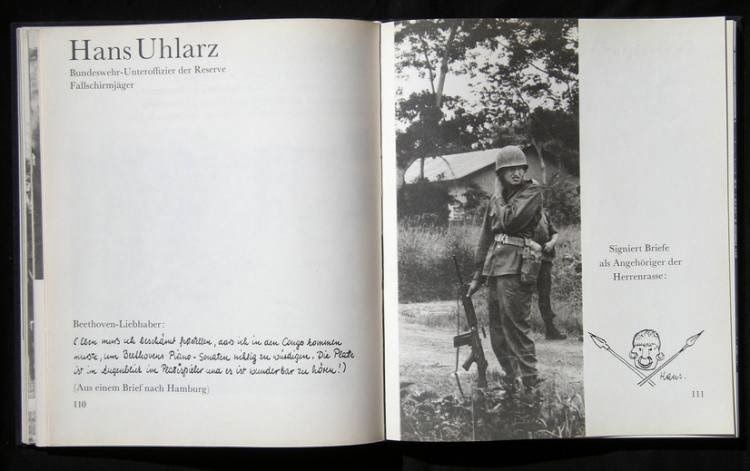 The media treatment of the performance of the mercenaries in the Congo led to a grotesque German-German episode in the Cold War. Lay-out en ontwerp: Studio Arbeiderspers. 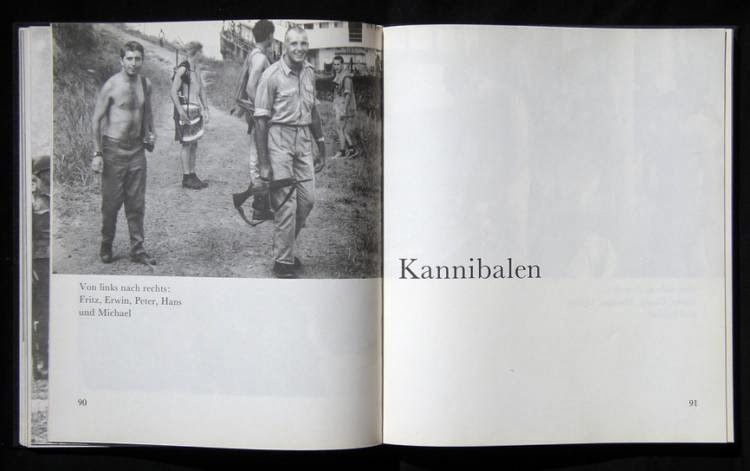 On show (2008) is composed by advertising consultant, publisher and collector of found photography Erik Kessels (1966). He is creative director of advertising agency KesselsKramer in Amsterdam/London which has made name with unorthodox campaigns in which authenticity and directness are in high esteem, often using found photographs of anonymous photographers, mostly amateur photography. On Show has the looks of a photo album, complete with blank picture frames,stock pages and show bags. 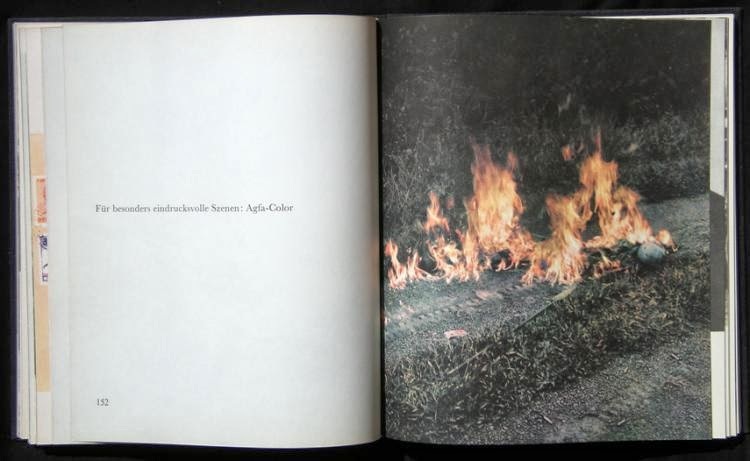 The publication, compiled of previously unpublished amateur pictures from the private collection of Kessels, was created in the context of the Howard Smith Paper lectures series, for which, among others, Paul Graham (1956) and Lawrence Weiner (1942) have been invited. 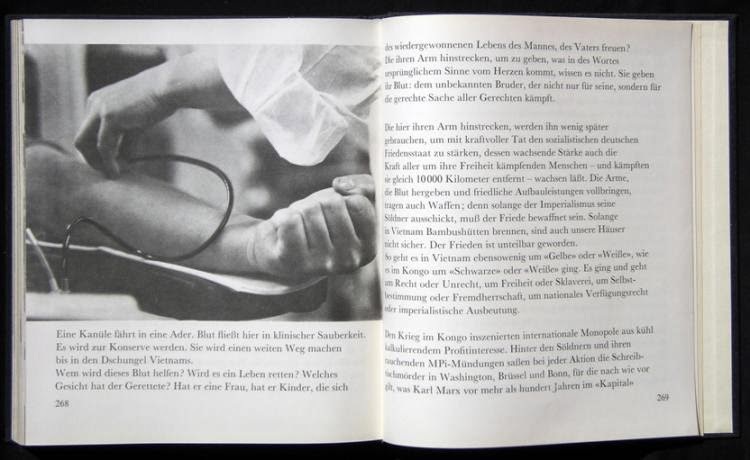 TIMELESS (2001) is printed on the slick Job Parilux, the trademark of Scheuffelen paper factory. This paper type is ideal for showing the ultimate possibilities of duotone-technique in a unique shade of black and grey tones. 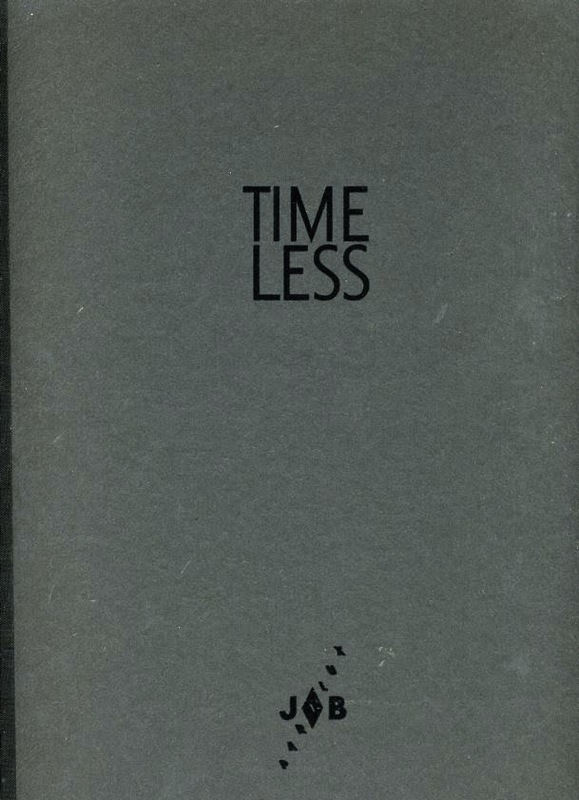 Thus a publication arose, based on a concept by Anton Beeke (1940), as a sample of high-quality printing technique. For the publication a number of portraits of former Dutch models from the 1960s are selected, created by Beeke in London, Paris and Amsterdam. 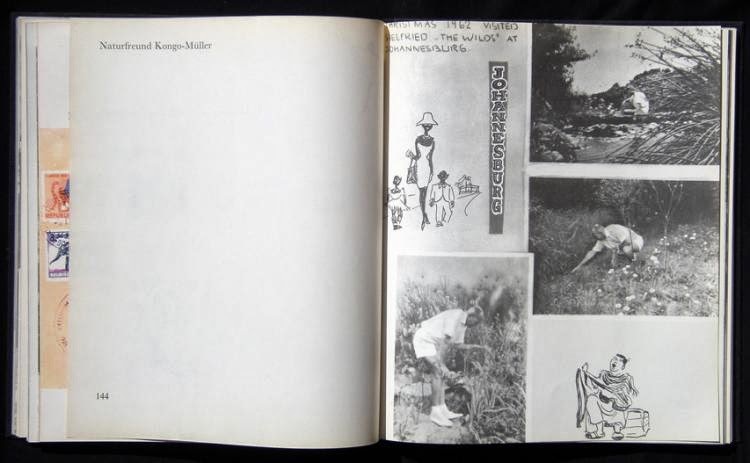 On a left page a small family album picture from the childhood of the model, is consistently printed in twocolor printing, to emphasize the difference in Zeitgeist and in the perception of time. 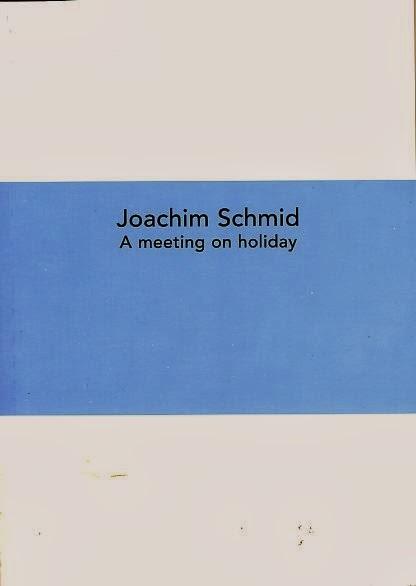 ‘Inspired by the work NEROC’VGM does for the production of travel brochures […], Joachim [Schmid (1955)] held his meeting at various holiday resorts around the world. This is a virtual place called Postcard land, where the sun always shines, the holiday-makers always smile and the sea and pools are the brightest of blues. 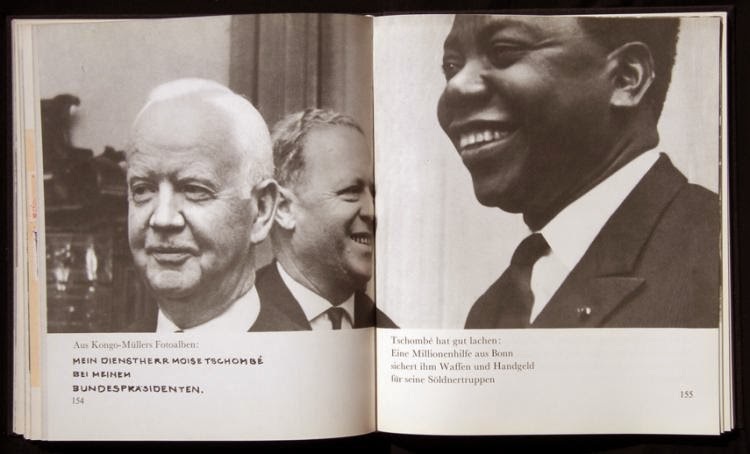 Joachim sifted through thousands of images and carefully arranged the ones in this meetings book, to create postcard poetry of tourist expectations’. From: Anonymous [KesselsKramer], Joachim Schmid. 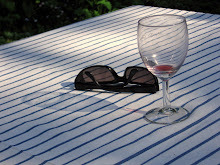 A meeting on holiday (meetings # 1), Amsterdam 2003. Printer: Ando BV, Den Haag; Kempers BV, Aalten; Slinger BV, Alkmaar, a.o. Photography: Marnix Goossens; Vivianne Sassen; Martine Stig; Raimond Wouda; Henk Wildschut e.g. 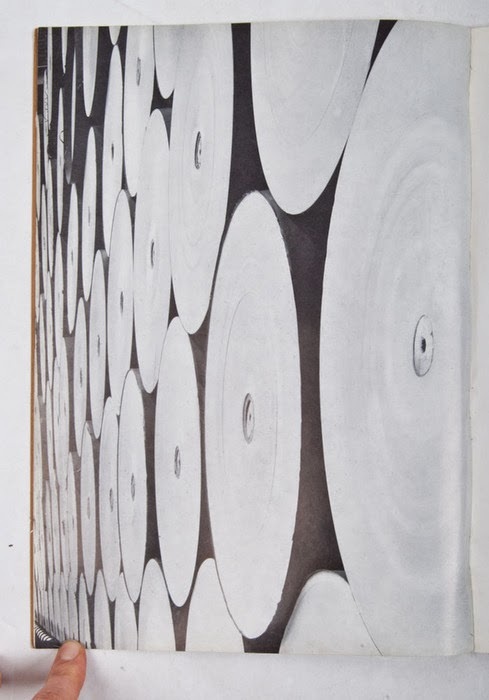 Stemming from the idea of passion for paper and printing, it is interesting to show the ultimate capabilities of the printing industry in the field of reproduction onto glossy paper and other specific paper types. 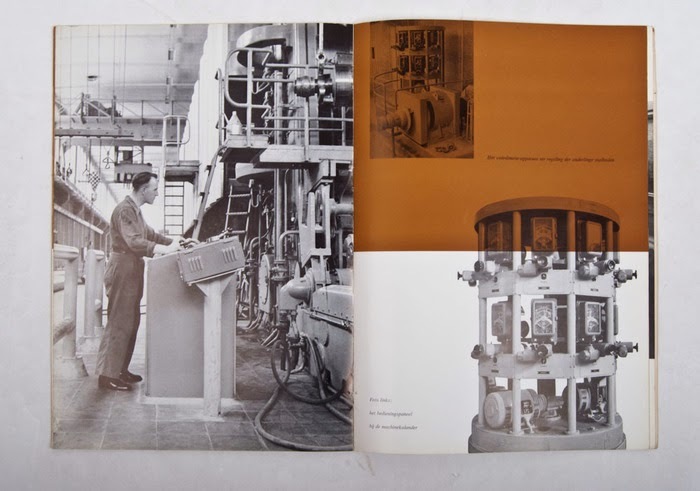 De kracht van kleur [The power of color] (2002) is a striking example of this strategy and is in line with a tradition of graphic production companies in the field of producing and initiating prestigious printing, company photobooks in particular. Following In the footsteps of Proost Prikkels 322 (March 1971) appeared in april 1972, in landscape format this time, Kunstofprikkels Proost Prikkels 328. 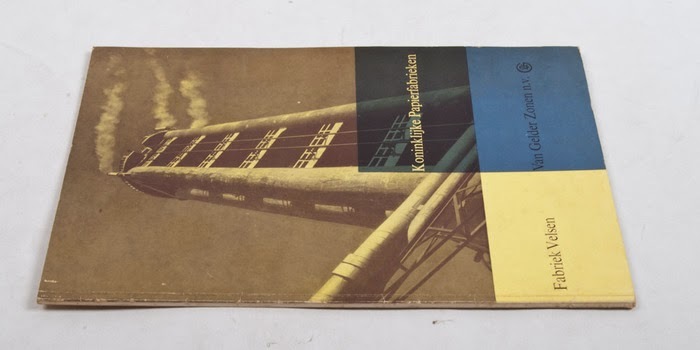 [Synthetic Incentives Proost Incentives 328] This booklet with a photo reportage by Aart Klein (1909-2001), is packaged in a mini grip bag of white polyethylene. The company photo booklet is interleaved with transparent Proflex polyethylene sheets. 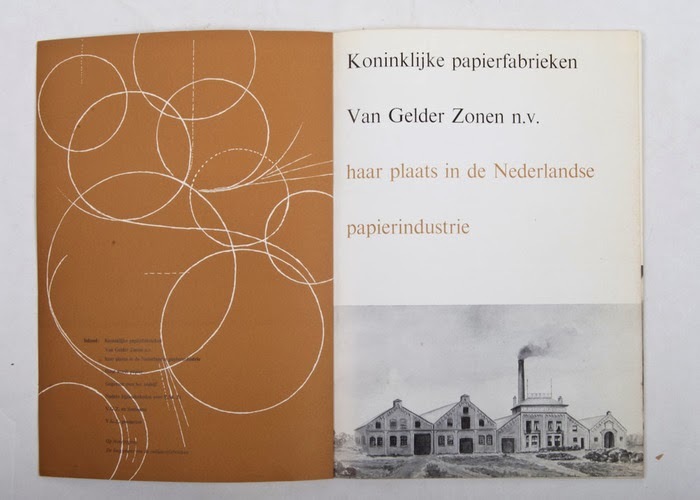 As the demand for and use of paper in the packaging industry is subject to change, the paper factory decided in the early 1970s to start in Putten with the production of polyethylene, a flexible and transparent material used for making bags, foil and a container with the perpetual closure: the mini grip. An important aspect in those years, in which the attention to environmental pollution rose, was that polyethylene is a biodegradable product. 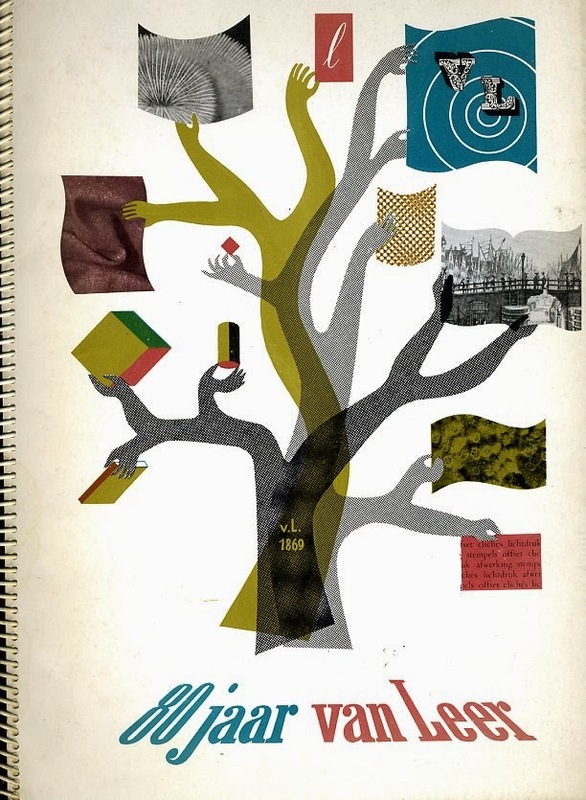 Proost Prikkels 322 [Proost Incentives], above all, is about the human factor and the added value of bookbinding. 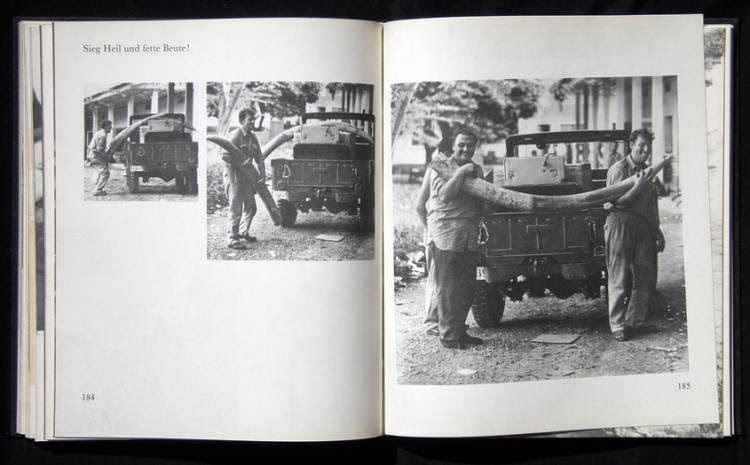 Photographs of Hans Samson (1939) illustrate the production line. 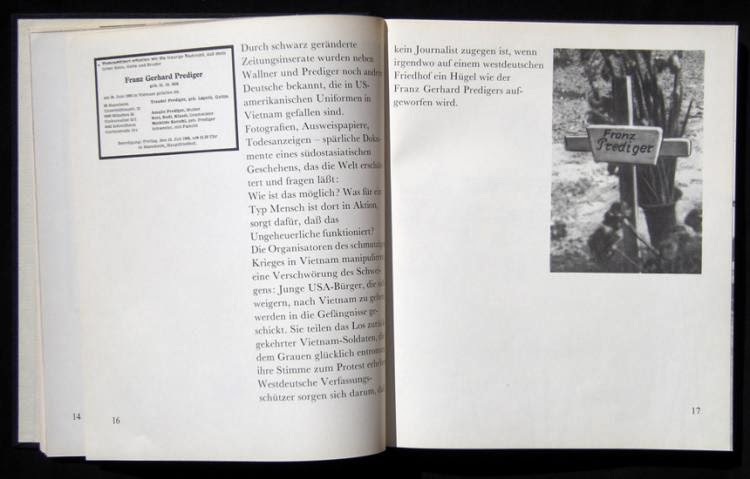 Text columns describe the production process and can be considered as an ongoing story or could be read as captions for the photo reportage. 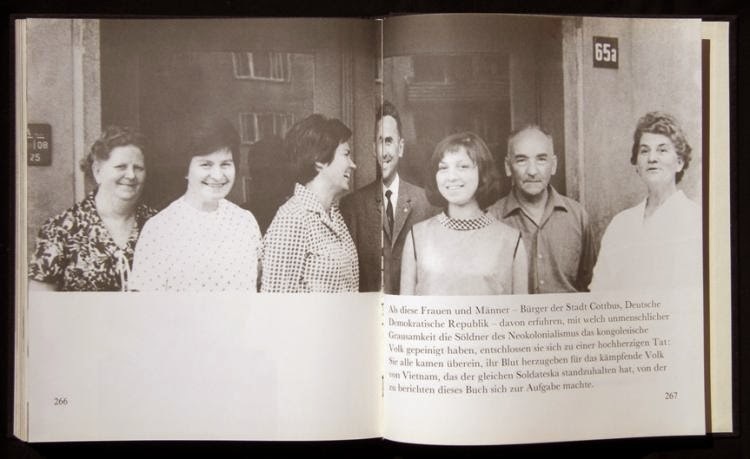 The text is put in red Sans Serif on blue Prospecta paper, parallel to the pictures. 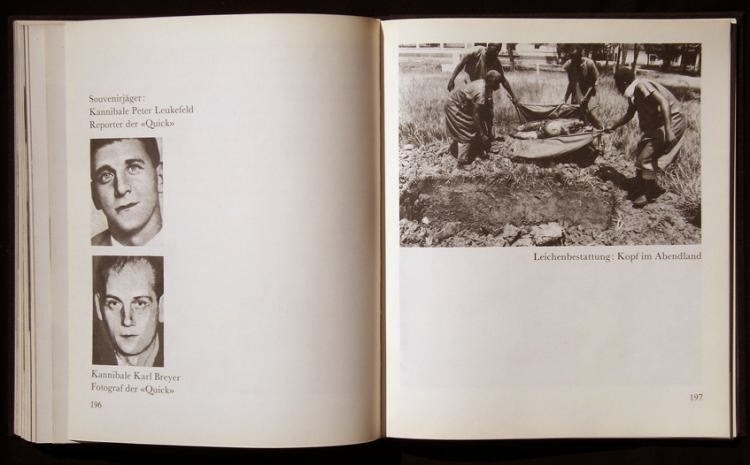 The most remarkable quadrat print is a quadrilingual sober edition based on an idea by the American conceptual artist/sculptor Les Levine (1935). 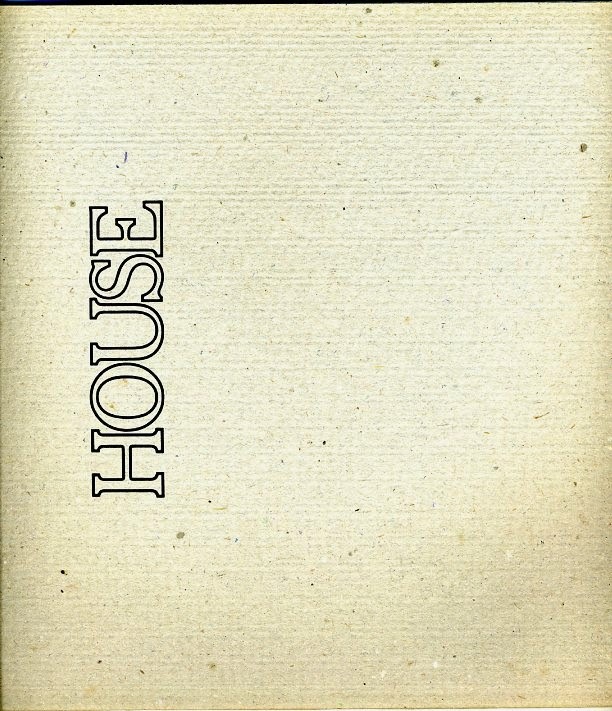 Each photograph in HOUSE. quadrat print No. 33 (1971) is a work plan for a sculpture or monument. The reader is invited to accomplish one of the ‘monuments’ on a scale that is proportional to the space available to him/her. And when he/she has completed the monument, or has had enough, the person is requested to send photographs of it to the artist. 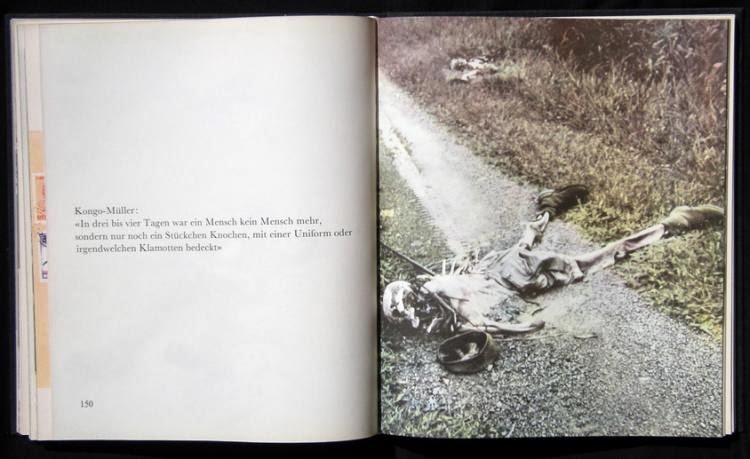 Flanked by a raven black left page, which now flinches and then extends into a vertical strip on the right page, documentary photographs loom of a collapsed barn, in a rugged landscape along a country road, against the backdrop of a mountain slope. As in a flipbook the camera is increasingly zooming in on details of the ruin. Each ‘quadrat print’ is part of a series of experimental prints in graphic design, art, literature, architecture and music. 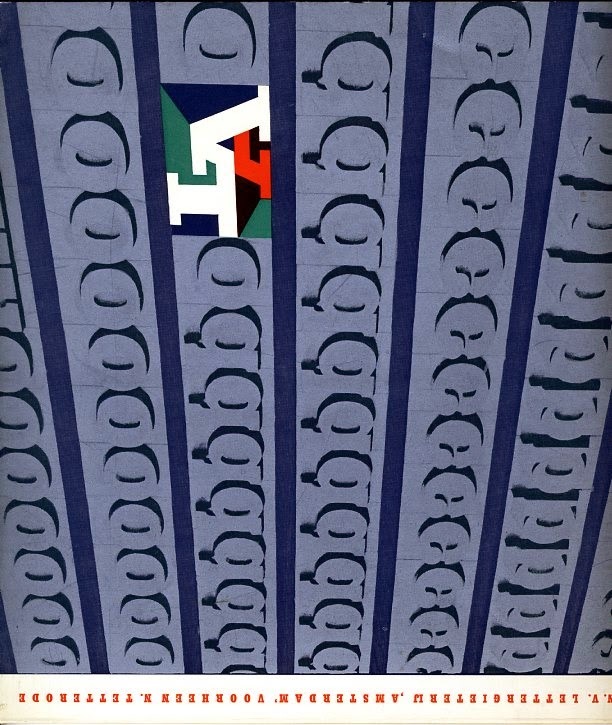 Alphabet, Quadrat print No. 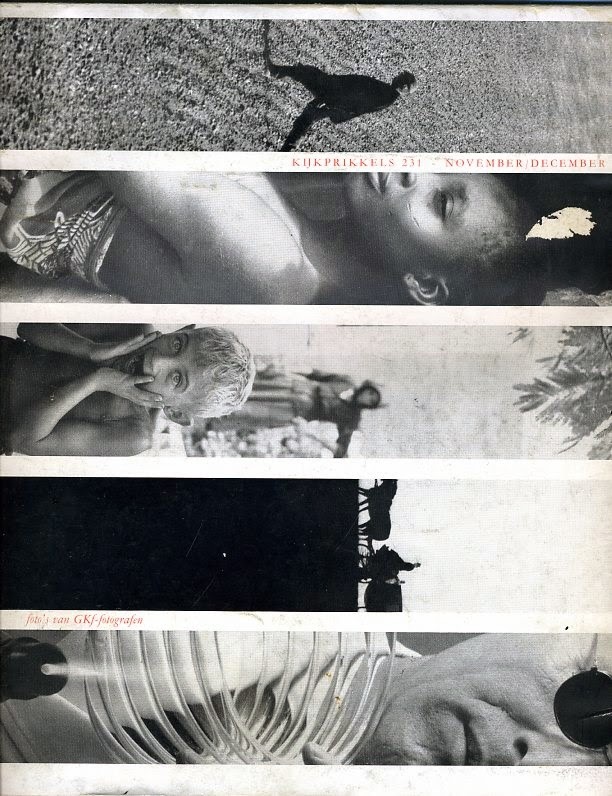 28 (1970), by far the best known quadrat print, is a model of the women's emancipation and sexual freedom acquired in the 1960s. It consists of a wallet containing free-standing photographs from letters of the alphabet and loose punctuation marks printed on thirty single sheets. Starting point of the series of photographs was the capitals version of Baskerville. Arranged female bodies of women and children are forming typographically correct 26 letters of the alphabet, and four punctuations in Baskerville Old Face Font The series is directed by Anthon Beeke (1940) and photographed by Geert Kooiman. 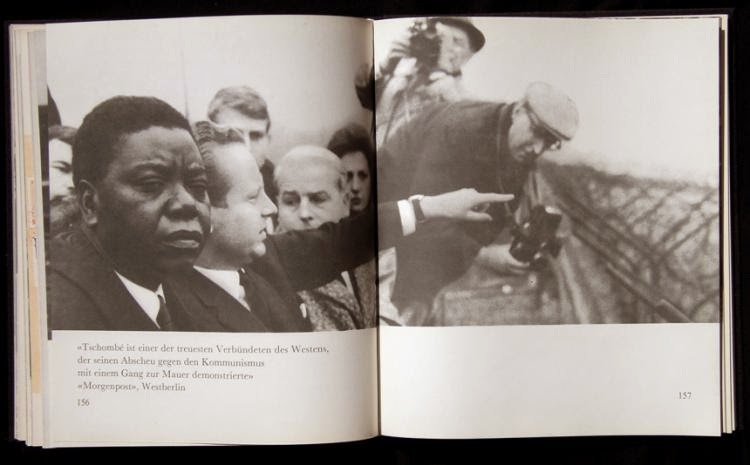 The reportage is made by Ed van der Elsken (1925-1990). In blocks of 16, his pictures are put together seamlessly on the folding pages on the inside of the cover. De snelbinder Proostprikkels 286 [The bike carrier strap Proost Incentives 286] is for more than three quarters a paper sample book, with the size of a hefty paperback. 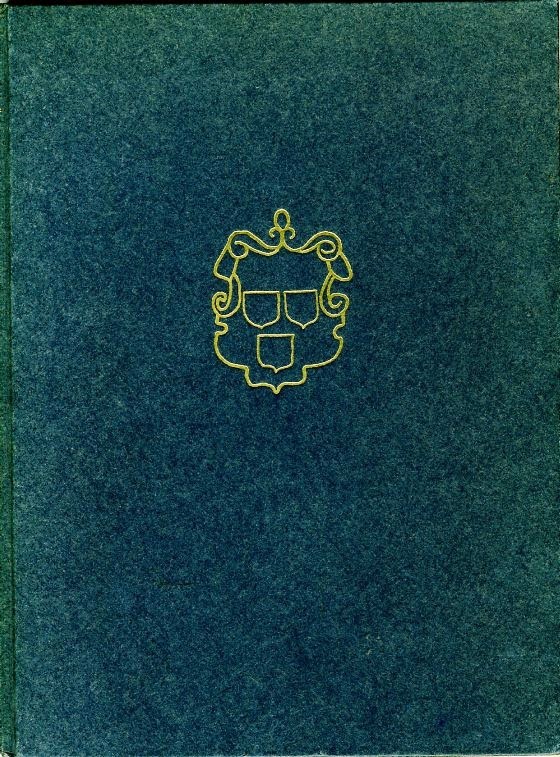 Cover and flyleafs are made of white pressed bookbinders material. The sleeve is made of corrugated cardboard. 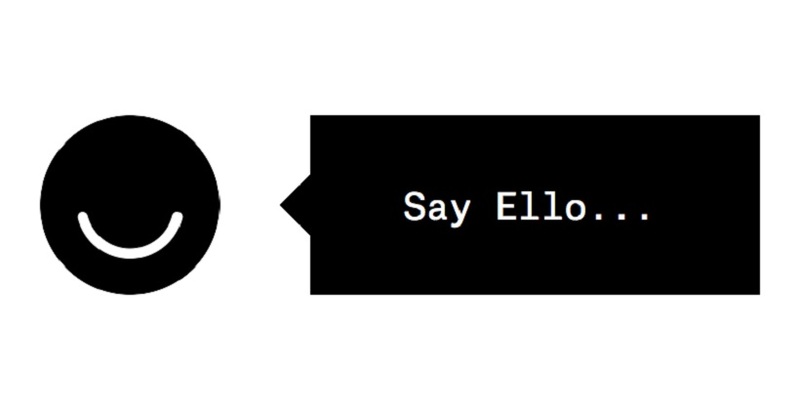 The text is put out of the Grotesk. 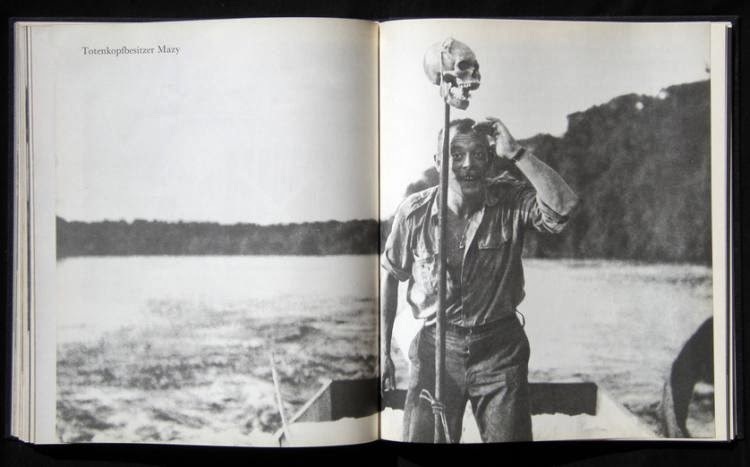 The book appears in April 1965 and contains a quire with photographs by Ad Windig (1912-1996) on glossy paper. The mechanical process of bookbinding is based on detailed pictures of the Sheridan – a modern fast-running binding machine built in the United States. 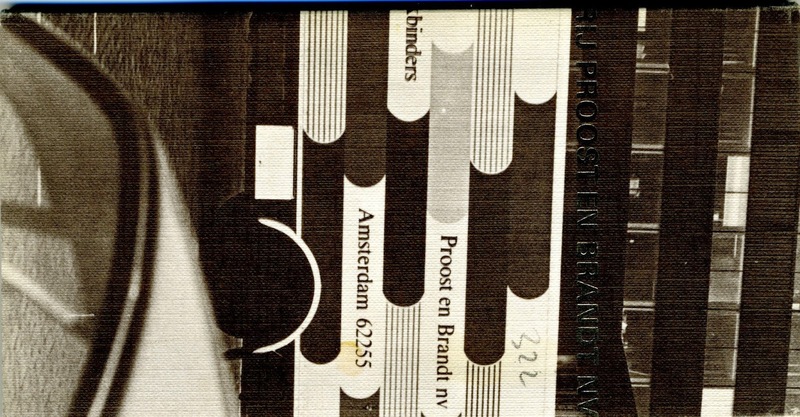 Writer-poet Bert Schierbeek (1918-1996) wrote texts for three company photobooks, respectively commissioned by a textile manufacturer, a paper mill and the Dutch association to promote the interests of booksellers. 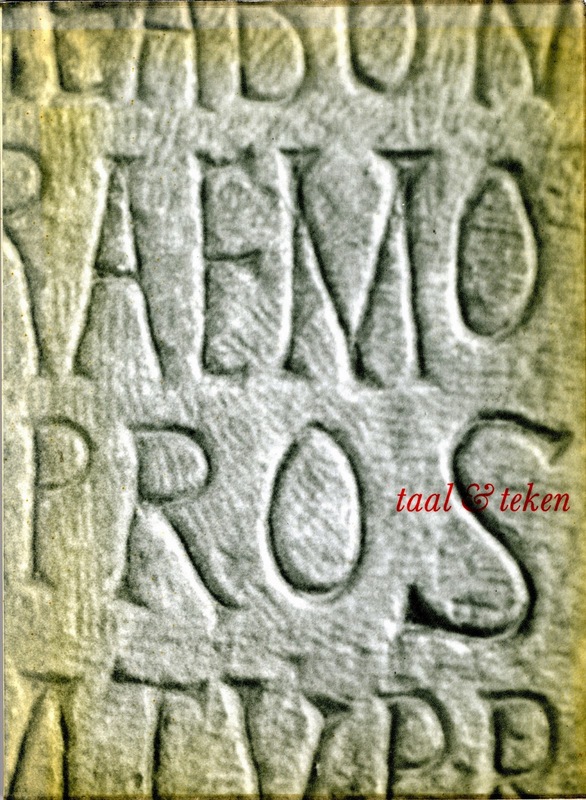 Both in De draad van het verhaal [The threat of the story] (1960), Drievel in het wapen [Three sheets in the coat of arms] (1961) as taal & teken [language and signal] (1965) he fits the metaphor, an important style means of post-war poetry. 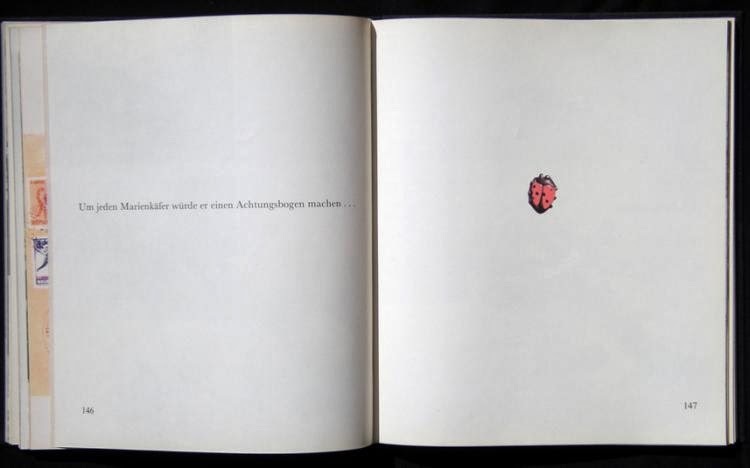 Perhaps inspired by German-language photo books which came about on the basis of cooperation between an experimental poet and photographer, as Im Ruhrgebiet (1958), but in any case inspired on the letterhead of the GKf and that of its members, Bert Schierbeek had put his contributions in company photobooks only in a Garamond (italic). 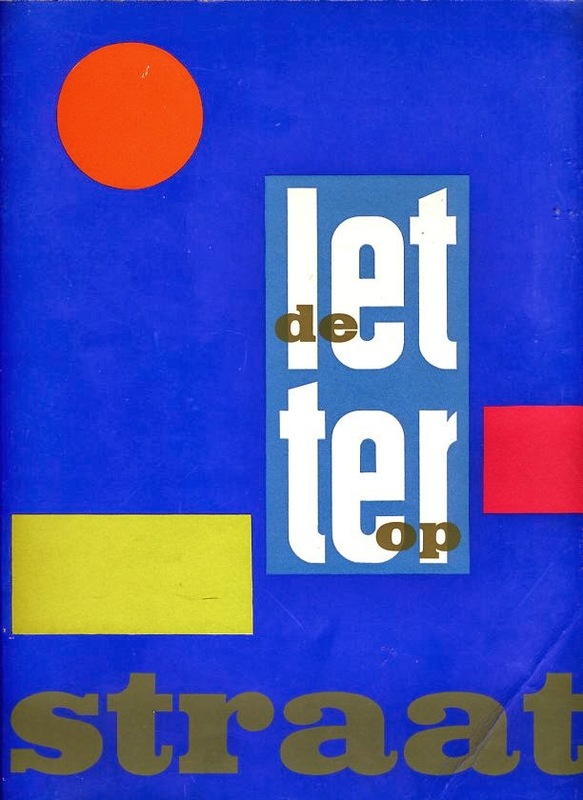 A particularly talented occasional team has composed De letter op straat [The letter in the street] (1956). 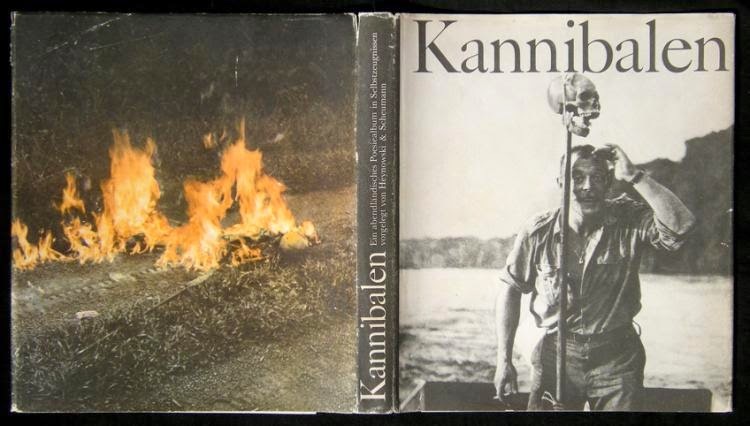 An experimental text is written by poet/writer Jan Elburg (1919-1992), member of De Vijftigers [The Fiftiers] movement, the documentary photography is by Violette Cornelius (1919- 2000) and the innovative design by Jurriaan Schrofer (1926-1990). 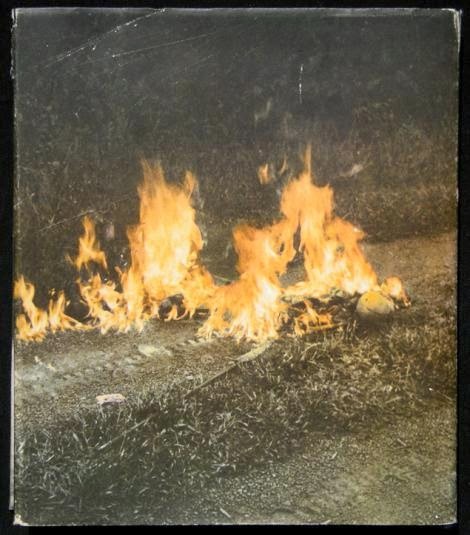 This one-off publication counts only 16 pages and is the one photobook that printer Meijer in Wormerveer has self-published as a new year's gift. As counterplay of advertising texts and signage in the streets, photographed by Cornelius as part of modern life in the metropolis, Elburg wrote himself advertising slogans in the form of a game on language and concepts. The text, put in a variety of contemporary fonts and colors, acts as a counterpoint to the photographic visual language, which in style and quality is comparable to that of Walker Evans and Helen Levitt. Photography: Emmy Andriesse, Ed van der Elsken a.o. photographers, in short by ‘outsiders’. All of them were united in the professional artists association GKf. 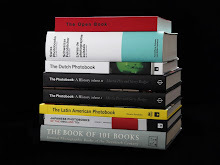 A reprint of the photo section from this Christmas issue of the Printer's weekly, entitled Over Fotografie [About Photography], was offered by members of the association of photographers united in the GKf and by printer Meijer NV, to friends and clients, as a New Year’s gift, together with a list of members. 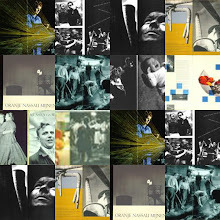 Motivations for launching the edition were the rapid advance of the post-war photography and the new possibilities of reproduction technique coinciding with the development of photography. 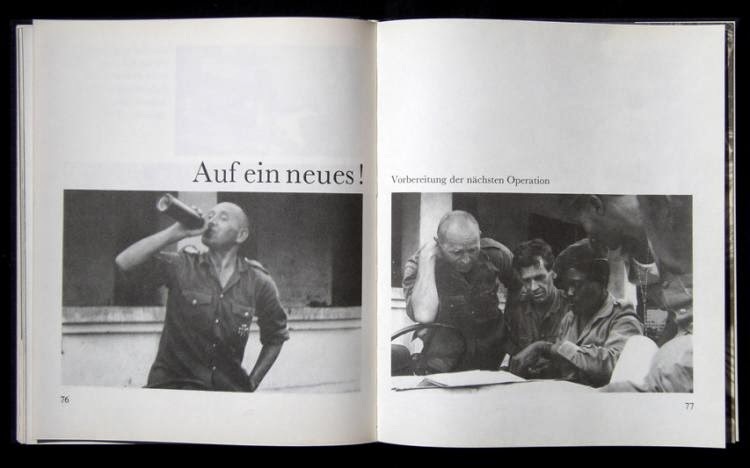 The despair among post-war professional photographers and the status of documentary photography (‘nothing as documentary as only a photograph can be’) in commissioned work, has been described in a text, which has very much the air of a manifesto, and is signed by the 16 members of the ‘photo group GKf’. Photography: Carel Blazer; Victor Meeussen a.o. 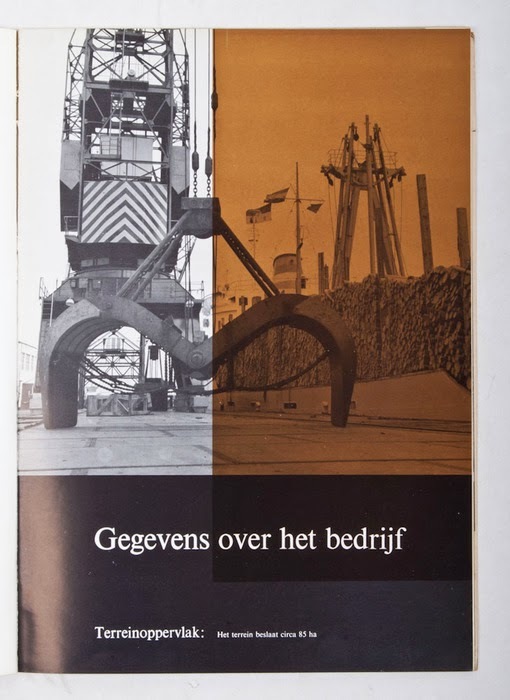 80 jaar Van Leer [80 years Van Leer] is a publication on high quality printing. With four pictures of the active staff association the company reportage is concluded. 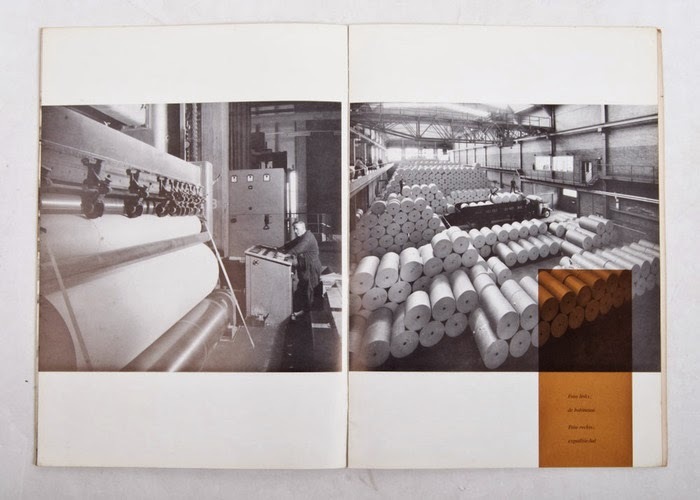 Photographs depict the individual workers and the stages of different printing processes. Besides a tour of the printer's company, activities after working hours are recorded. The large format commemoration book contains illustrations (in appendices) of paintings, manuscripts, mezzotints, labels, schemes, blind stamp, production runs and a fish. ‘In around 1900, work was begun on draining the Peel, a dreary area of flatlands on the borders of Brabant and Limburg with treacherous boggy soil, the source of many a legend and tale. Ancient trunks of trees were thrown up by the marshy peat. These were reguarly collected in a pile and burned. 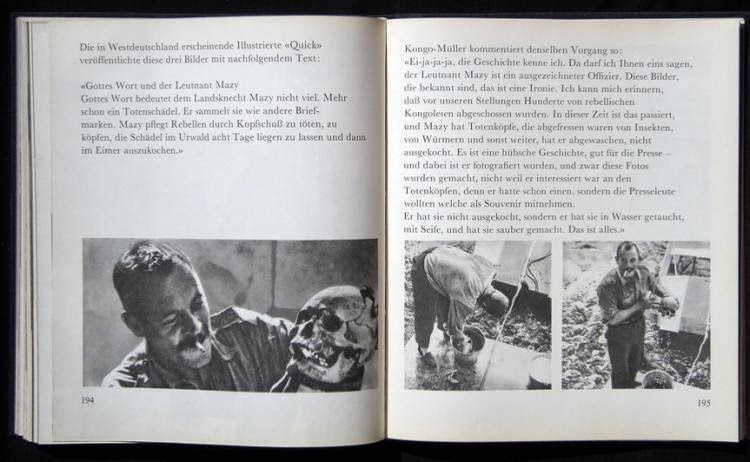 It was in 1951 that Martien Coppens first saw a monstrous face in the carbonized remains. Het spent the next eight years photographing ‘Monters of the Peel’ in land and water, fascinated by the capriciously abstract shapes of the tree trunks that looked like ‘disfigured freaks’ in his imagination. 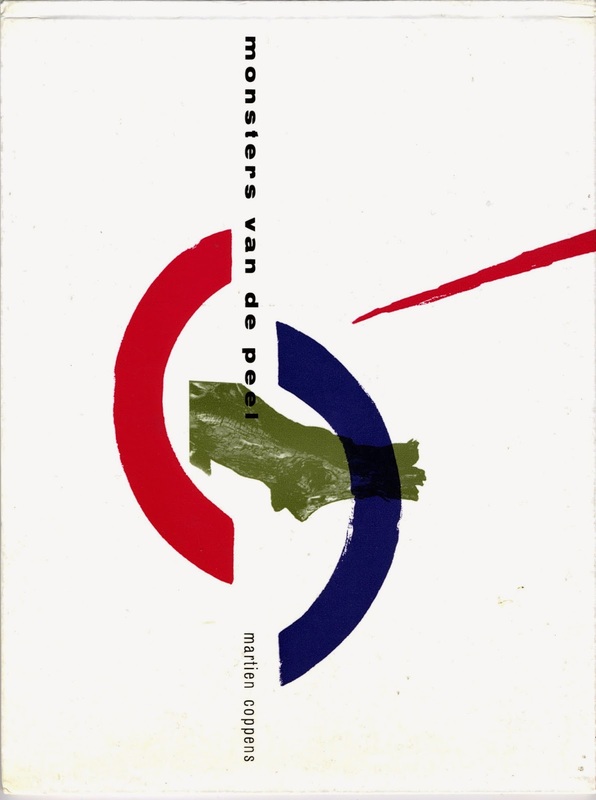 In 1958 the Eindhoven printers Lecturis published Monsters van de Peel as a promotional present with these photos by Martien Coppens and an experimental layout by graphic designer Herman Rademaker’. From: R.S. 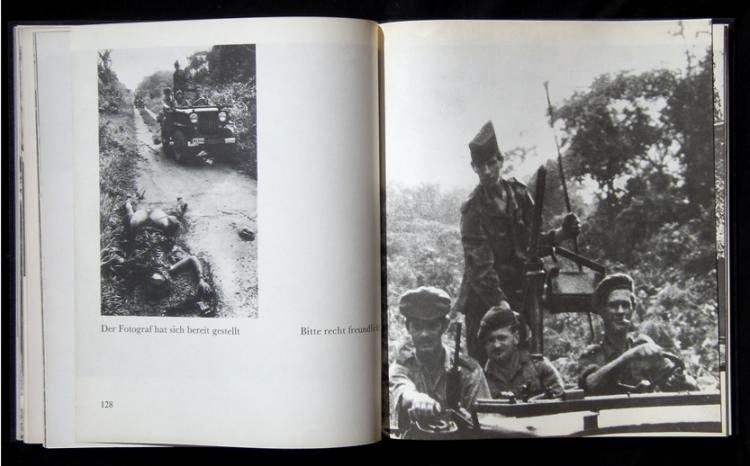 [Rik Suermondt], ‘Monsters van de Peel’, Frits Gierstberg, Rik Suermondt (ed. 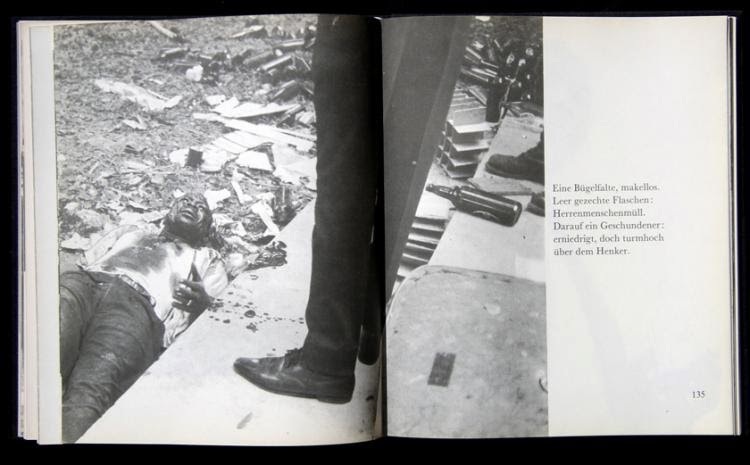 ), The Dutch Photobook, Rotterdam 2012, 88-89. 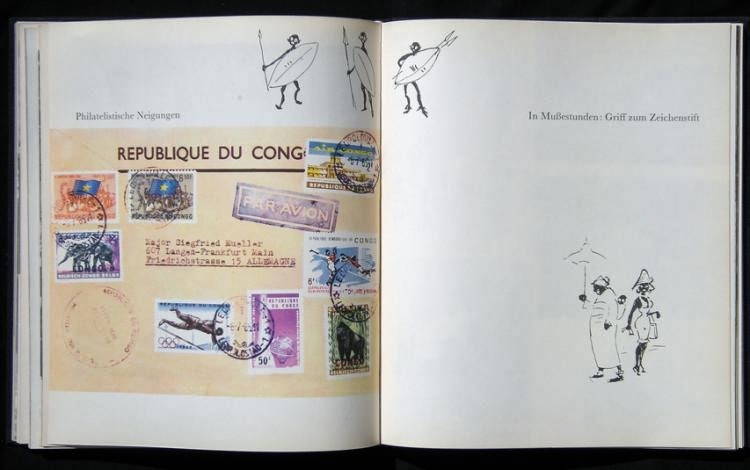 Paris Mortel is a quadrilingual city book that more or less came about as an aside during a technical course that Johan van der Keuken (1938-2001) followed at the Institut des Hautes Études Cinématographiques (IDHEC) in Paris. A warning against history it is, in which tourist locations are excluded. Inspired by experimental jazz music of Miles Davis and John Coltrane, but also by New York (1956) a revolutionary photobook by William Klein, Johan van der Keuken made a gloomy documentary of the quarter around Gare de l'Est, metro stations and suburbs, of people on the street and children playing, culminating in a political demonstration by the extreme right. The storyline in the book is provided by six scenes and ending at Père Lachaise cemetery. 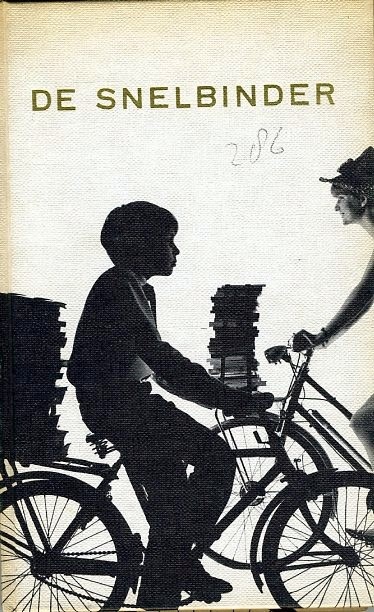 The Dutch publishing world, however, was not ready for the whimsical, Dadaist layout. 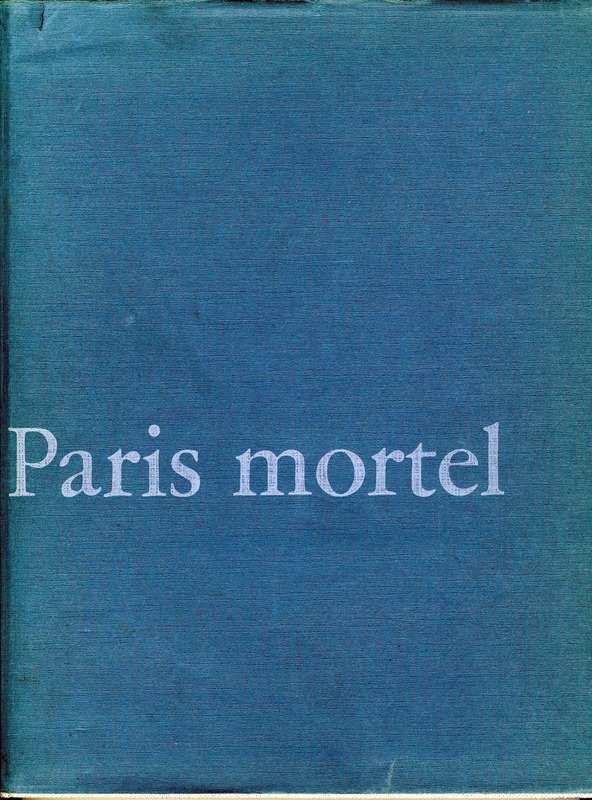 Eventually Paris Mortel appeared in 1963 as a promotional gift of publishing house C. de Boer in a custom layout. For the cover Mart Kempers (1924-1994) designed a graphical representation of a letter press mold in silver-grey, with the imprint ‘LA’ in white-green-blue-red. 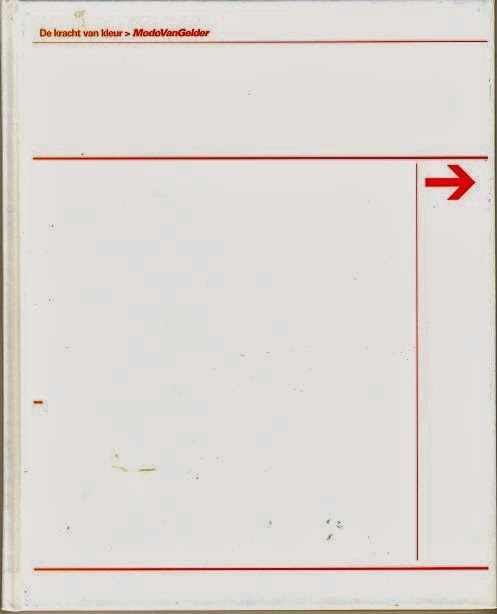 The name of the publisher is put in a vertical line along the binding seam: red on a white background. 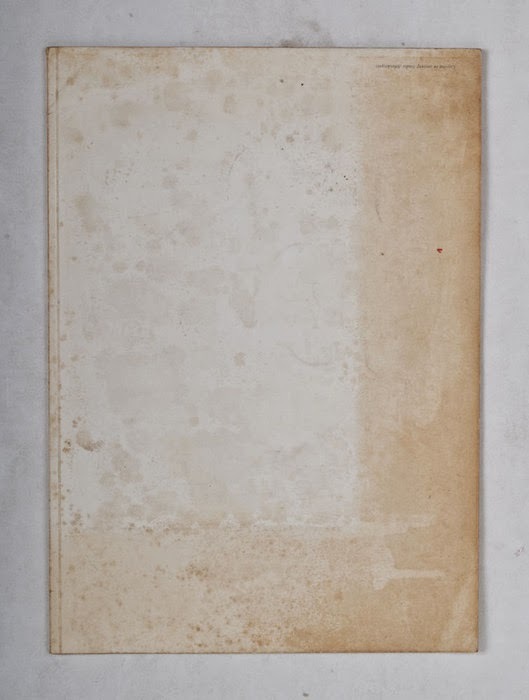 The booklet is interleaved with matt brown paper and three transparent tabs showing the Columbia letter ‘a’ on respectively millimeter paper, technical drawing, negative film and stencil. NV Typefoundry Amsterdam formerly N. Tetterode is obviously printed in letter press. In 38 photographs you make a tour of the company. One gets an overview of the foundry halls, sees an output channel of a molding machine and freshly casted letters. Also recorded in this book is the way in which typecases and letter trays are sorted, as well as a milling machine for copper lines and the reproduction laboratory with a camera setup. 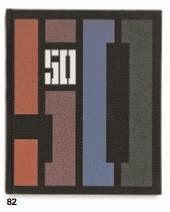 devoted to world events and fifty to bookbinding. 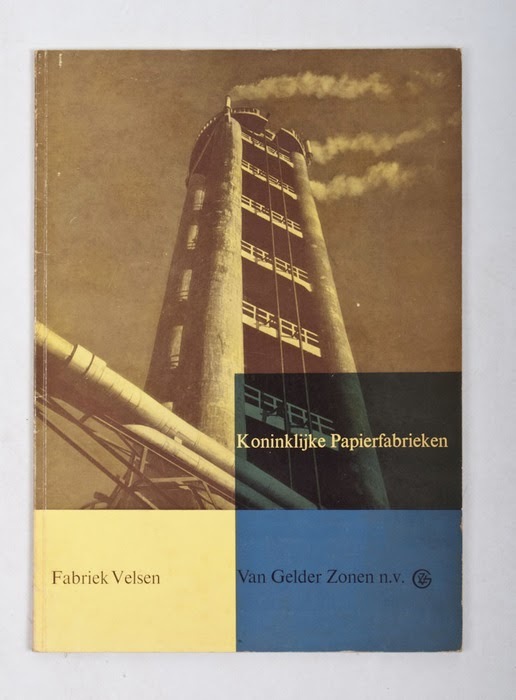 Writer-poet Bert Schierbeek (1918-1996), member from the ‘Fiftiers’ movement, wrote texts for three company photobooks, respectively commissioned by a textile manufacturer, a paper mill and the Dutch association to promote the interests of booksellers. 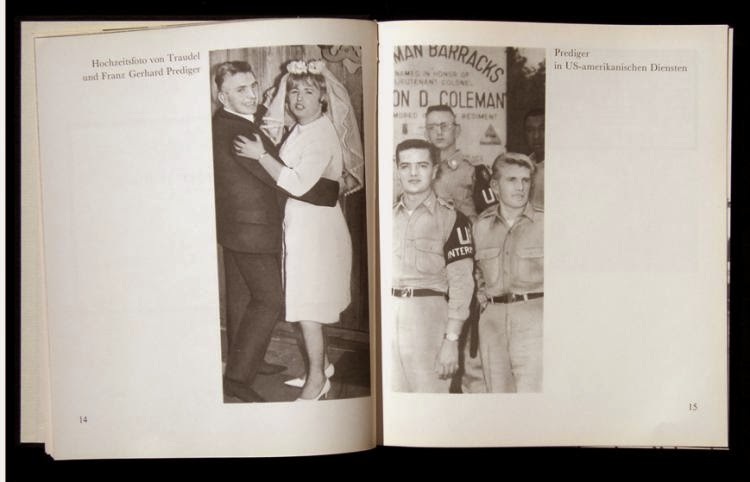 Both in De draad van het verhaal [The threat of the story] (1960), Drievel in het wapen [Three sheets in the coat of arms] (1961) as taal & teken [language and signal] (1965) he fits the metaphor, an important style means of modern post-war poetry. 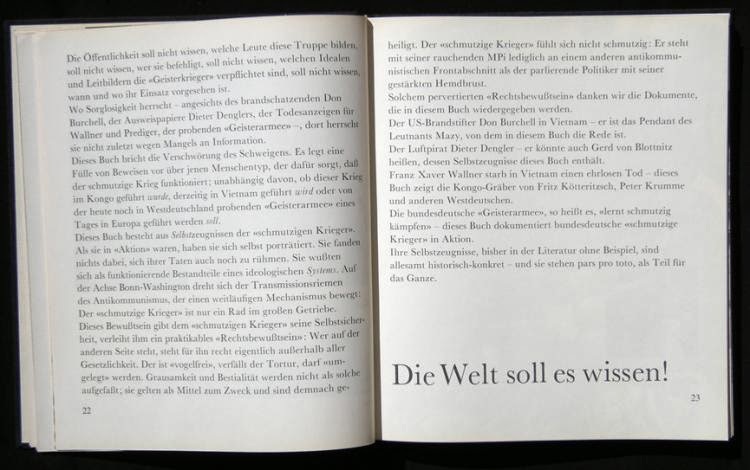 Perhaps inspired by German-language photo books which came about on the basis of cooperation between an experimental poet and photographer, as Im Ruhrgebiet (1958), but in any case inspired on the letterhead of the GKf and that of its members, Bert Schierbeek had put his contributions in company photobooks only in a Garamond italic.